The issue launches a contest to name the “Tastiest Town in the South.” The city that gets the most reader votes will be named in the magazine’s May issue and at magazine’s website. 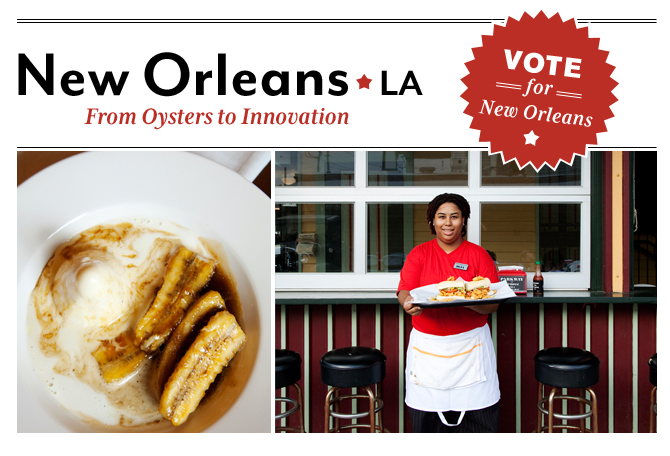 To vote go to southernliving.com/tasty. New Orleans’ competition includes: Asheville; Atlanta; Austin; Charleston; Durham; Greenville; Louisville; Memphis; and Miami. New Orleans, Louisville and Charleston also made Southern Living’s Tastiest towns list last year, and Lafayette was the 2012 winner.